Remembering Brother Stephen J. Jordan, Sr.
We have sadly lost another dedicated Brother. Brother Stephen J. Jordan, Sr., 38, of Kennedale, TX., was born March 21, 1980, and passed away on Saturday, March 9th. 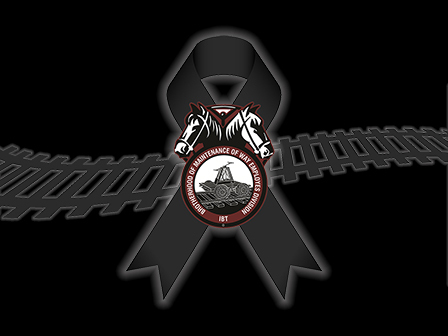 He was a 10-year employee of BNSF Railway and a member of BMWED, Atchinson, Topeka, and Santa Fe Frisco System Federation - Lodge 2409. Most importantly, he was everyone's Brother. Those who worked with Stephen truly loved him like their own brother. There are many stories of his steady demeanor, sense-of-humor, and generosity to teach others. He never met a stranger and hugged everyone like his own family. His smile and laugh were infectious, and you cannot find a person on the railroad that has nothing but the most genuine respect and admiration for him. We are deeply saddened with this loss. We are equally devastated for all of his family and friends outside the Organization. Brother Stephen Jordan, you will be immensely missed.